We are a family run business established in 2011 when the village we lived in set up a farmer’s market. Since then we have expanded to new catering premises 3 times to accommodate our growing business and now supply many outlets across Kent on a regular basis. 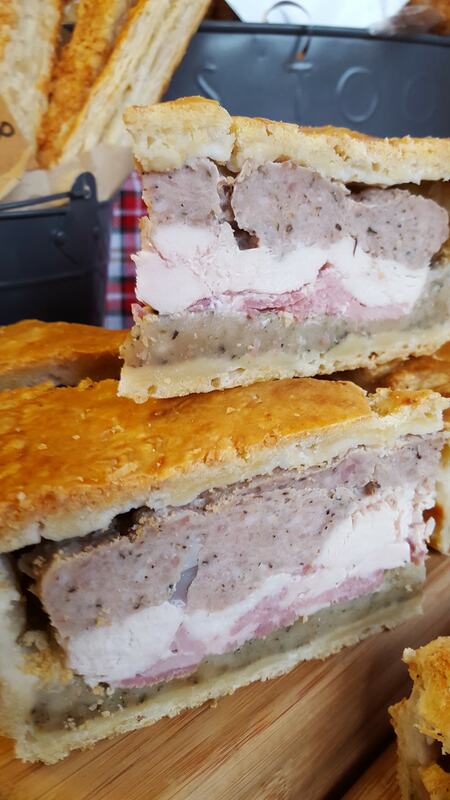 We have catered for many weddings, birthdays and wakes and can be found at many events from farmers markets, food festivals and county shows across the county. If you are looking for a caterer who prides themselves on providing a bespoke service to you then you have come to the right place. We don’t have set menu packages as we believe that every wedding should be special to you. Planning a funeral can be a very stressful event. Talk to us at Dine Thyme regarding your menu requirements and we will take care of the rest. 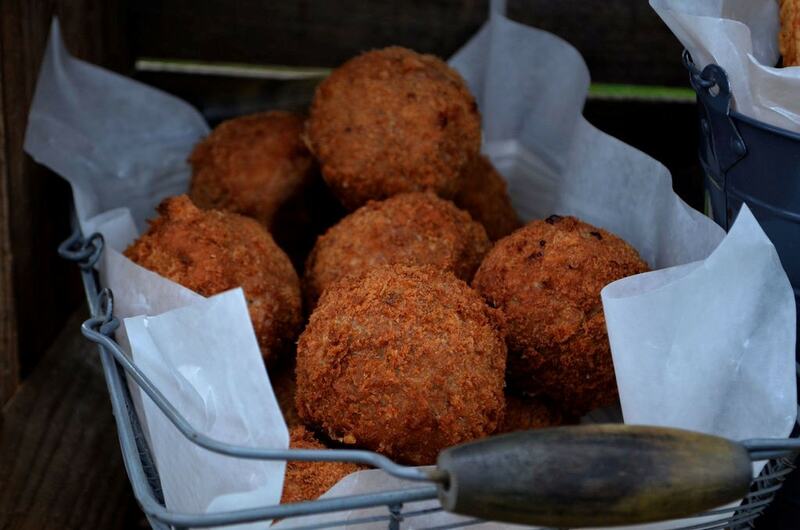 We are a local Kent based business specialising in supplying complete catering requirements at such times. From sit-down breakfasts to evening canapé receptions and everything in-between. We are proud to have worked with Leeds Castle, Audi Maidstone, FixFast and many more local companies and organisations. 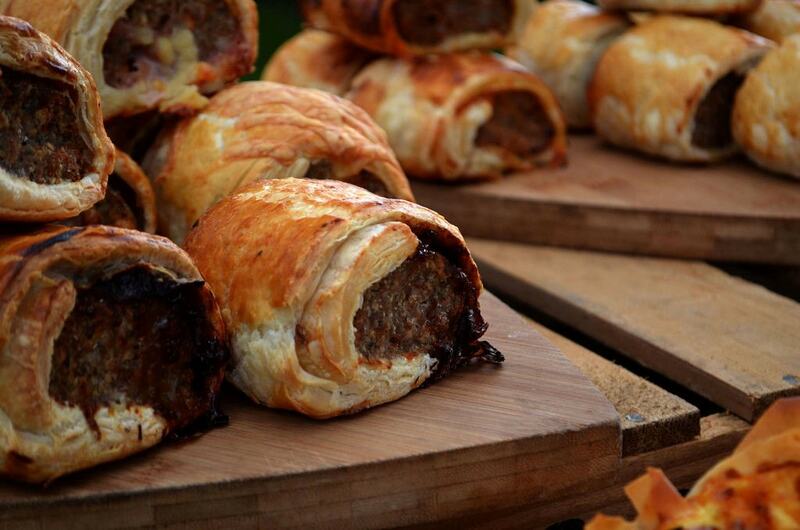 Need our amazing sausage rolls or scotch eggs to sell at your business? 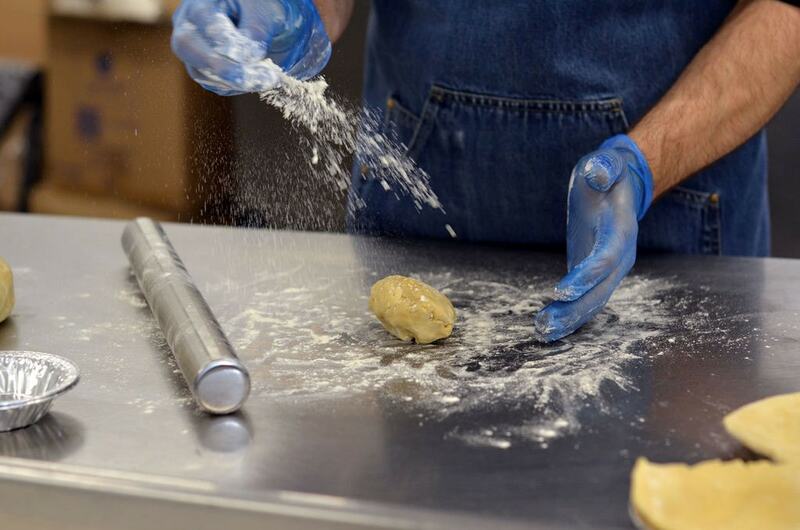 Perhaps some awesome Cheese straws or Scones? Vegetarian and vegan food? Yes, we have that covered too. We can deliver to your business throughout Kent twice a week. Caroline catered for an event we held in our own home for around 40 people and she not only delivered a selection of mouthwatering food, beautifully presented, but also dealt calmly and sympathetically with our guests, managing everything to an exceptionally high quality. 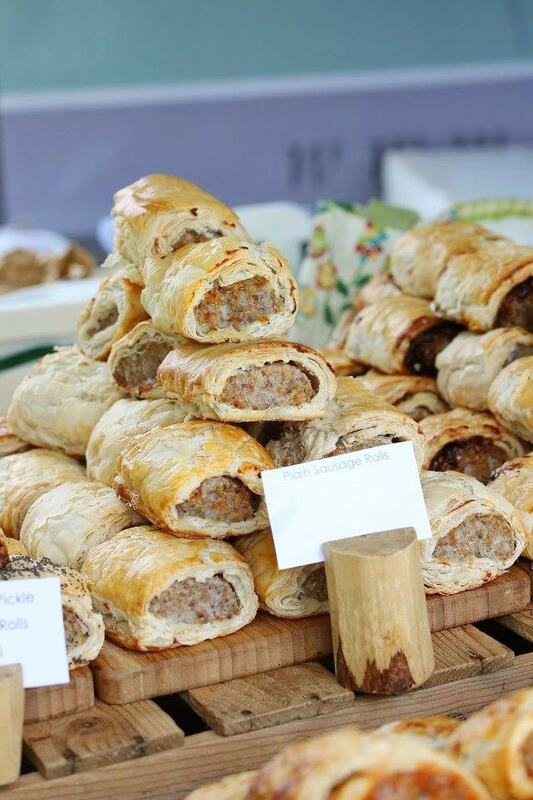 The moment we tasted Dine Thyme’s amazing sausage rolls when we saw them at a farmers market we knew we had to book them! Caroline couldn’t have been more helpful leading up to the wedding and delivered to us super fresh and tasty baked goods on the day. Dine Thyme has supplied the Nutmeg Deli for over five years now. Their lovely products are consistently delicious, and have built up a strong following with our customers. A firm favourite of ours! Caroline and Micheal are also a joy to work with. 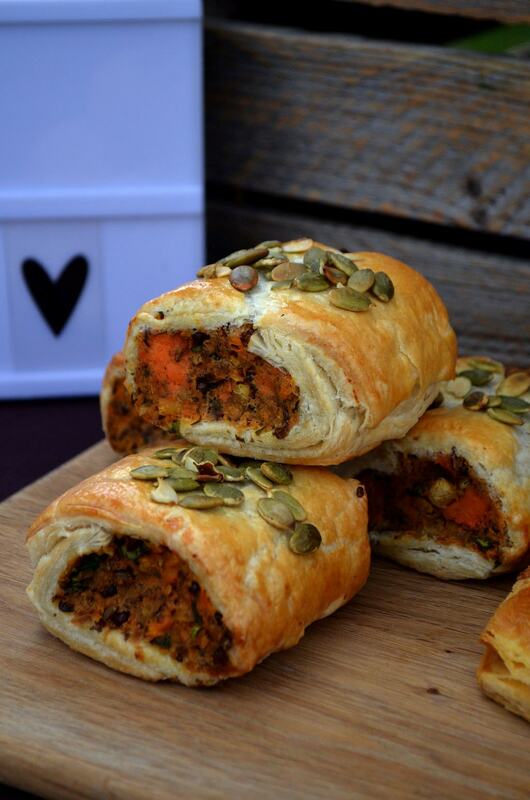 We’ve been stocking Dine Thyme’s fabulous sausage rolls and veggie specials for several years and they remain firm favourites. Regular customers love them and newcomers can’t resist them. Can I just say the biggest thank you for everything that you did for mum’s day yesterday. Everyone said that the food was absolutely delicious. I will recommend you to anyone who is looking for Caterers and hope that we can use you again one day under better circumstances. I would highly recommend Dine Thyme for all private and corporate catering. 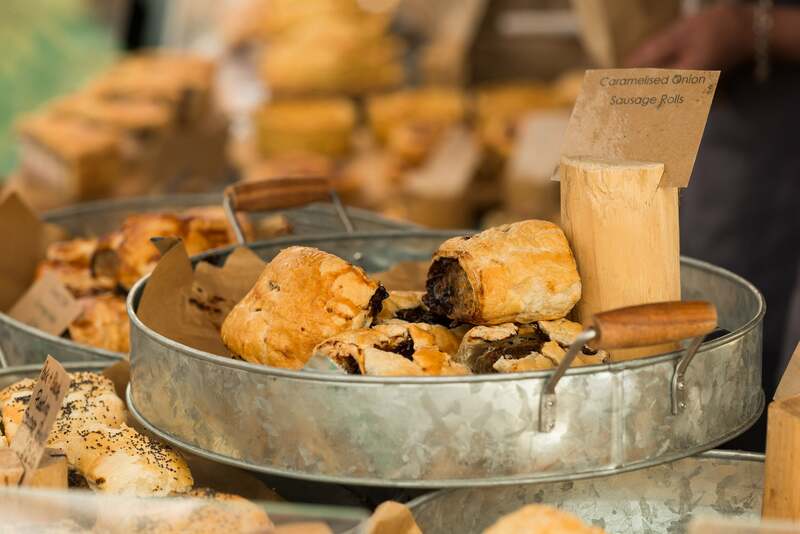 They have worked with us on numerous occasions and all of our clients and guests have been delighted by the food from on offer especially their signature sausage rolls! Thank you so so very much for all you did to help Frankie and Becky’s wedding reception go so smoothly. We wouldn’t have been able to do it without you! Everyone was very complimentary about your delicious food and I will recommend you to everyone I know! Dine Thyme supply our company lunches twice a week. There’s always a mad rush to be first to the kitchen on a ‘Dine Thyme day’! The food is always to an excellent standard and a wide choice of dishes. I would recommend Dine Thyme to anyone. Thanks for what you do! For all enquiries please contact Caroline by email to [email protected] or give us a call on 07969 010565.